I did an online interview of some sort a while back and one of the questions I was asked was this “What are the basic components of fat loss diet that you would recommend? That is, if you had to give the most general fat loss diet approach, what would it be?” Another way of phrasing the question might be thus: What’s the simplest fat loss diet you can draw up, with the fewest details for people to get obsessive over? This is actually a very good question and, while I can generally answer it in about 4 sentences, I’m going to do my best to stretch it out into a full length article by overexplaining everything and giving at least some of my rationale for the different recommendations. In many places, I’ll be linking out to other articles on the site that go into individual topics in more detail. Since this is going to get long, I’m actually going to divide the article into two parts. Today I’m going to focus on what is probably the most contentious area of diet set up, on Tuesday next week, I’ll cover the other factors that I use to set up a basic fat loss diet. It’s quite common, and this is true in all aspects of, well, everything, for people to want to get into really involved interpretations before they have the fundamentals down. I see it in training and I see it in diet; of course the industry tends to pander to that by providing unbelivably complicated training and diet programs that, for most people, simply aren’t necessary. People always want advanced training programs long before they have the basics down; and they tend to be drawn to overly complicated diet plans when they don’t even have the basics down. I have probably contributed to this to some degree as I do tend to write complicated dieting approaches from time to time (e.g. The Ultimate Diet 2.0). Of course, there are times, usually for very lean folks dealing with all of the myriad issues involved in getting very lean that necessitate such complex approaches. 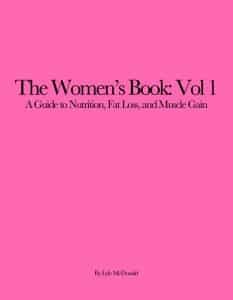 The UD2, for example, is an advanced diet for advanced dieters; it’s assumed in that book that the folks reading it have spent a couple of years getting the fundamentals in place. That’s why I didn’t spend any time discussing those fundamentals in that book; if you don’t already have the basics of eating and nutrition down, you aren’t ready for it. Unfortunately, that doesn’t stop people from trying from time to time. But at the end of the day, and again this is true in training and in diet, the fundamentals are the most important. Until you have those in place, none of the advanced stuff makes a difference. And, generally speaking, you find that once you have the fundamentals in place, the advanced stuff doesn’t add that much. Again, in specific situations, worrying about the details matters (e.g. very lean natural bodybuilders trying to get super lean); for most people it doesn’t. I’d note, semi-tangentially, that there tend to be individual personality differences in how people approach these kinds of topics. Some people are, shall we say, a bit obsessive compulsive (I’m one of them) about things like nutrition and training. They are the ones who, as Dan Duchaine once phrased it, want nutrition with ‘all the plumbing’. They want diets to be set out in terms of how many seconds to wait between sets, protein and amino acid recommendations must be set to the milligram, etc. Amusingly, these folks want all of the details whether they are necessary or not in the first place (usually they are not). At the other extreme are people who get overwhelmed by that type of information, they want easy generalities and lots of detail puts them off. Many people are somewhere in between the two, they want enough details to get the job done well but not so much that they get paralyzed by it. But I’m getting off topic. Anyone who has read any of my books may recognize this to some degree since I tend to focus on the first 3 and leave 4 up to the specifics of the situation. Now, I’m actually going to spend a bit of time on #1 and for that reason will discuss #2-4 next Tuesday so that this doesn’t get too long to read. Ok, this is probably the one that will cause the most controversy which is why I’m going to spend the most time on it. A constant and never-ending cry, and one that has recently come back to life due to some popular but misguided books, is that calories don’t count, or thermodynamics doesn’t apply to humans or other nonsense. In that vein, a current meme (look it up) is that the energy balance equation is incorrect for various reasons; I addressed this in some detail a little while back in the article The Energy Balance Equation. In case you can’t take the time to go read it in full, I’ll only say that the people saying that calories in vs. calories out don’t understand the energy balance equation; in fact I saw some hysterical examples of this in a recent thread on a fitness forum, people tossing out examples that they thought disproved the energy balance equation but which only showed that they really had no idea what they were talking about. Again, the problem isn’t with the equation, the problem is with people who don’t understand what it represents. Read the article for more. But the simple fact is this, the ONLY way to force the body to call on stored energy (e.g. body fat) is to create an imbalance between energy intake (from food) and energy expenditure (this side of the equation comprises a number of factors discussed in detail in Metabolic Rate Overview). That’s why this is the primary criterion in how I set up fat loss diets. I don’t give a damn what else you do, if you haven’t created an imbalance between intake and expenditure (and you’ll see that there are different ways of achieving this goal), nothing else will matter. Now, there are many different ways to create this imbalance and I think that also lends itself to confusion. Each of the below can work to some degree and makes it look like it’s not just calories in vs. calories out. But it still is. For example, a traditional way is to simply reduce total food intake, that is reduce the quantity of food such that less calories are being eaten. Certainly this works because, by definition, eating less means you’re taking in less calories than when you were eating more. Another is to change the quality of food but this tends to introduce a subtle confound that most people seem to forget (and that I discuss in detail in Is a Calorie a Calorie): some foods are relatively harder to overeat than others. Or, put differently, some food are easier to overeat than others. If changing the quality of food eaten causes people to eat less, and that causes weight/fat to be lost, it’s easy to confuse the quality of the food with the total caloric expenditure. But it’s not the quality of the food per se that is causing the weight/fat loss or gain; it’s the change in total caloric intake due to the change in food quality. I would mention that changing the macronutrient content of the diet can have a small impact in this regards. For the most part, switching out carbs and fat doesn’t do much despite what many claim. The difference in the thermic effect of food for carbs vs. fat is about 3% so for every 100 calories you switch out one for the other, you might see a 3 calorie difference in energy expenditure. I’d note that carbs have a the advantage here with a thermic effect of 6% compared to 3% for fat. But the effect tends to be so small as to be irrelevant unless you are looking at whole scale changes to diet. Again, if you replace 100 calories of fat with carbs, you burn 3 more calories per day. If you replace 1000 calories of fat with carbs, you burn 30 calories more per day; you’ll lose an extra pound of fat every 116 days. Whoop de doo. And while I know someone is going to bring up the issue of gluconeogenesis on ketogenic diets in the comments, I’ll only point out that the impact of this is small and disappears after about 2-3 weeks (when the body shifts to using ketones for fuel). As well, any increase in expenditure from this pathway is balanced against a loss of the thermic effect of carbs. As well, direct research (by Brehm) shows that there is no difference in resting metabolic rate for ketogenic vs. carb-based diets; the thermic effect of food was higher in the high-carb condition. If there were a true metabolic advantage in terms of energy expenditure for ketogenic diets, someone would have been able to measure it by now. They haven’t and they aren’t going to and all of the theorizing about it doesn’t change the fact that direct research hasn’t supported the concept. Now, protein has the biggest impact in terms of the thermic effect of food, switching out carbs or fat with protein tends to increase the energy out side of the equation but you have to make pretty large scale changes for it to be particularly significant. I’d note that protein also tends to be the most filling of all the nutrients and studies show that increasing dietary protein intake tends to cause people to eat less calories. Which is another huge confound; if increasing protein makes folks spontaneously eat less, it looks like it was adding the protein per se that did the magic. But it wasn’t, it was the effect of increasing protein on total energy intake that caused the fat loss. Like I said, a subtle confound that people tend to miss a lot. Another way of course is to use activity to increase energy expenditure. That increases the energy out side of the energy balance equation. I’ll do a full article on the role of activity in weight/fat loss (and it’s more complicated than I’m making it sound here since I don’t have space to cover it in full) but this is one valid way to do it. Activity not only increases energy expenditure but also impacts on the quality of weight loss (e.g. fat vs. muscle) and can impact on appetite (both positively or negatively depending on the specifics). Again, I don’t have space to cover it here but will in a future article. The problem for most is that the amount of calories that can be expended by most people in exercise is not large. An irony that I”ve mentioned before is that the only people who can usually burn a ton of calories in activity are trained athletes; and they usually don’t need to lose fat. But the reality is that an hour of activity for most people will not burn a staggering number of calories. Usually caloric restriction per se or a combination of cutting calories and increasing activity is going to be more realistic. The number of people who have lost fat by making excuses about thermodynamics and other nonsense: zero. The number of people who have lost fat by creating a deficit in one of the ways I’ve mentioned: all of them. Of course, someone will point to someone who did lose fat without ‘counting calories’ but invariably they did something dietarily that I described above: made a wholesale change to the types of food that they were eating that caused them to spontaneously eat less food. Which still makes me right; they created an imbalance between intake and expenditure, they just did it in a way that looked ‘different’ than simply counting calories. But it still had the same end result. They still created a caloric deficit, it was simply ‘hidden’ by what looked like something else. And make no mistake, I would love it to be different, I would love to be able to tell you how to magically lose fat without some change in your eating or activity or creating an imbalance in the energy balance equation; I want magic to be real too. And when I figure that magic out, I’ll be a billionaire. And until that happens, the reality is that to lose fat you must create some imbalance between intake and expenditure. It may not be what you want to hear but it is the truth. Ok, with that introduction out of the way, how do you set calories for a basic fat loss diet? A value that has been used for absolutely years is 10-12 cal/lb, and I explain where that value comes from to some degree in How to Estimate Maintenance Calories. Essentially it’s a 20% reduction from a rough maintenance estimate of ‘About 15 cal/lb or so’. I’d note that this is your basic moderate deficit diet, as I discuss in Setting the Deficit – Small, Moderate or Large there can be various pros and cons to using smaller or larger deficits. But, once again, here I’m focusing on simplicity and the basics and trying to avoid any source of complication. In general, 10-12 cal/lb tends to be a decent starting point for fat loss diets. Please note that this is only a starting point and will always have to be adjusted based on real-world changes. Some people with high activity levels may need higher calories than that, and folks with lower daily activity levels may need less. In the modern world, with daily activity levels going down (especially if you work in a sedentary job), lower caloric intakes are altogether too often required. I have known many people who had to go to 8 cal/lb with an hour per day of low to moderate intensity cardio to lose fat effectively. I was one of them back when my daily activity entailed sitting in front of the computer all day and doing an hour or so of weight training a few times per week. Now that I train about 18 hours per week, I can diet with higher calories if needed. I’d note that, for various reasons discussed in Lean Mass or Total Weight to Set Calorie Levels, I tend to use total weight to set starting caloric intake levels. As noted in the paragraph above, you always have to make adjustments based on real-world changes in body composition and it’s simply faster and easier to use total weight; it avoids issues with trying to get a good estimate of body fat percentage and saves people the trouble of all that pesky math. In my books I often use a more complicated approach but this article is about simplicity so use total weight. And that ends Part 1 of the article. In Part 2, which I’ll post next Tuesday, I’ll address points 2-4 from the section above: protein requirements, fat intake, and the ‘it depends’ part of the diet. See you then. Read A Primer on Fat Loss Diets Part 2.